Our customer's all-time favorite bracelet is Baby's First Pearls™. 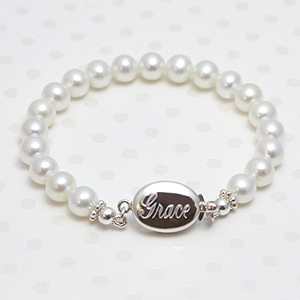 This beautiful heirloom bracelet for babies and children is created with fine white cultured pearls. The sterling silver clasp can be engraved with a name or monogram, and the engraving on the clasp is included with the price of the bracelet. 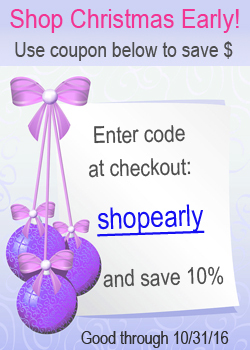 Baby's First Pearls™ bracelet comes in sizes to fit newborns, children, teens, and even adults. The bracelet can be re-sized as your child grows so it will always fit. She can wear her bracelet for newborn pictures and still wear it to the prom! 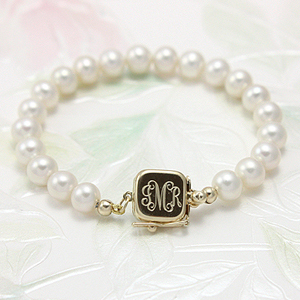 Baby's First Pearls™ bracelet is also available in a 14kt gold version. The gold safety clasp is square with an extra safety latch. 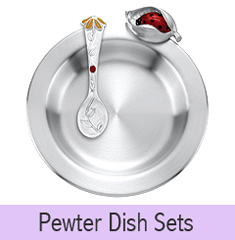 Many of our customers have said friends or family members have recommended Baby's First Pearls™ by The Gingham Grasshopper. 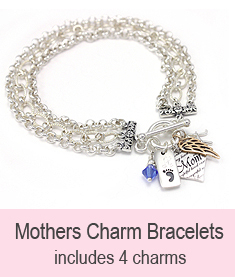 Choose this elegant bracelet for a new baby or granddaughter; it comes 'customer recommended'! Shop Baby's First Pearls™ in sterling silver. Shop Baby's First Pearls™ in 14kt yellow gold.